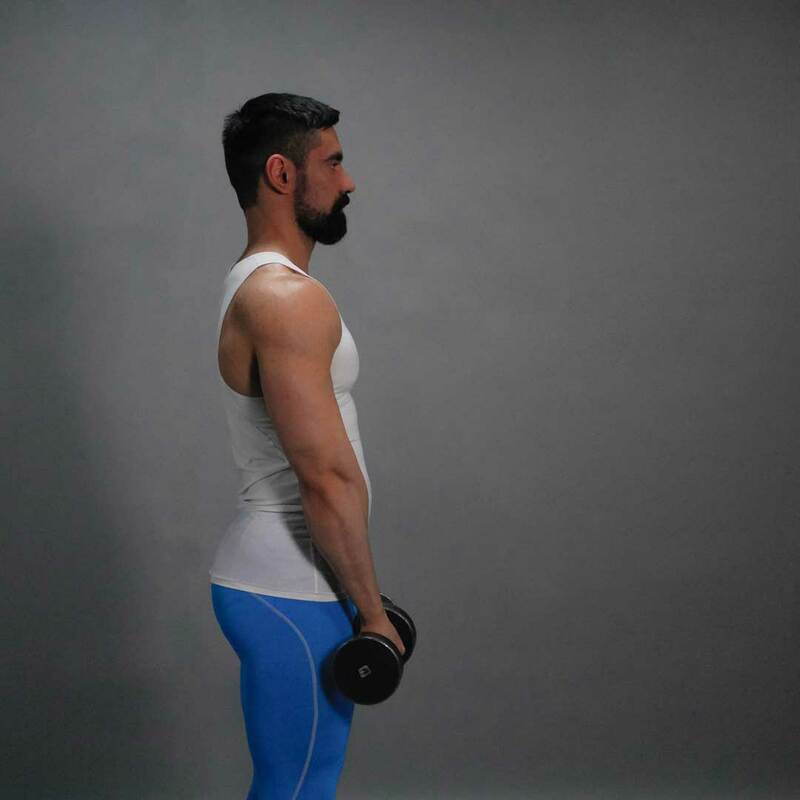 Take dumbbells in hands, stand with your feet shoulder-width apart. This is your starting position. Exhaling, slowly lift the dumbbells just above shoulder level. Your shoulders should be slightly bent. Don’t use back muscles while performing the exercise. Keep your back straight. 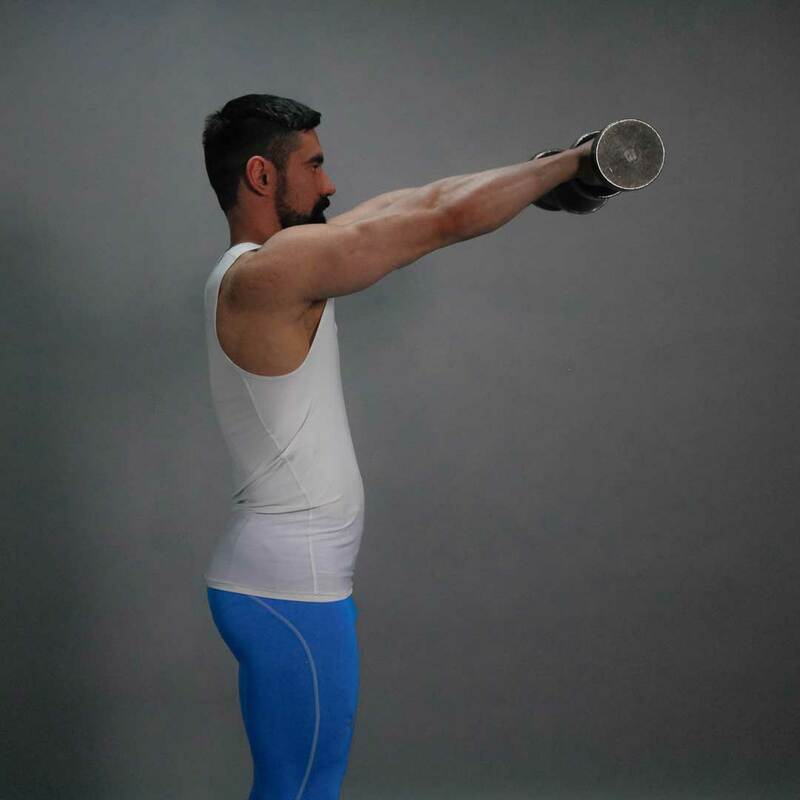 Do this exercise without jerks and abrupt movements.